It’s Black Friday, and visions of angst dance through your head. Because Christmas is right around the corner, just while you’re still trying to recoup after Thanksgiving. Not something to be so grateful about at this point. The headaches raise their ugly heads again. You want to curl up with a steamy cup of hot chocolate (a hit of rum in it wouldn’t be so bad) and wake up when it’s all over. Like in 2017, maybe. But you’re tough and resilient and ready to go. Whatever’s supposed to be frantically going on at the North Pole, doesn’t seem to have anything to do with you. Where are your merry band of elves working to make things easier? Didn’t they get your text…” HELP!”? Actually, where is anyone in your family stepping up to the wreath? Most of the time you’re pretty much on your own and what you have to do is daunting. A “Bah Humbug” would be acceptable here. Even before gifts and other plans, you need to think of Christmas Cards. Pictures of the family? Touching thoughts? Funny? And who is supposed to get them? You can count on forgetting someone. So you can count on a big hill of guilt. But grab your gift garb and get ready to shop. There’s so much in store for you. Oh wait, that’s so many stores in store for you. Door busters can cause you to bust a gut. The lines, the insanity…forget it. And then there are the decisions. Like the card confusion, who gets what? If anything. The mailman? Your manicurist? The babysitter? The paperboy? (Oh wait, that hasn’t been an issue for ages and ages thanks to digital news.) Who might give you a gift you aren’t expecting so you better have something on hand for them? “Oh, you didn’t have to do that”, they gush. Wish that were true. You do have choices, though. You could shop online. But you could blow hours and hours on that one. Oh, and no guarantee anything you buy will arrive in time for the big day. Actually, there’s another blustery thought: just how many gifts do each person get? If you celebrate Hanukkah, there’s 7 nights of gifts to get. Try and wrap your head around all that. You can’t, so, it’s off you go, ready for the battles at the counters with the only bells jingling are in your head are incessantly loud, annoying and endless. Ah, it’s like music. Dr. Stephen a. Goldstein, MD, FACS. at Denver hormone health. A lot of the health problems you’re feeling over the holidays, like stress or all other malaise toying around with your body, what you’re feeling might actually be the result of unbalanced hormones. Like so many other things you’re at the mercy of this season, you could be at the mercy of hormones. Hormones are the messengers telling your cells how to operate. There is no end to the damage and tricks they can play. And how miserable they can make you feel. But dr. Stephen a. Goldstein, MD, FACS. at Denver Hormone Health is at the head of the field of hormone replacement therapy. In one consultation, he listens to what is bothering you, then with simple tests, is able to determine exactly what’s going on in regard to your hormones. 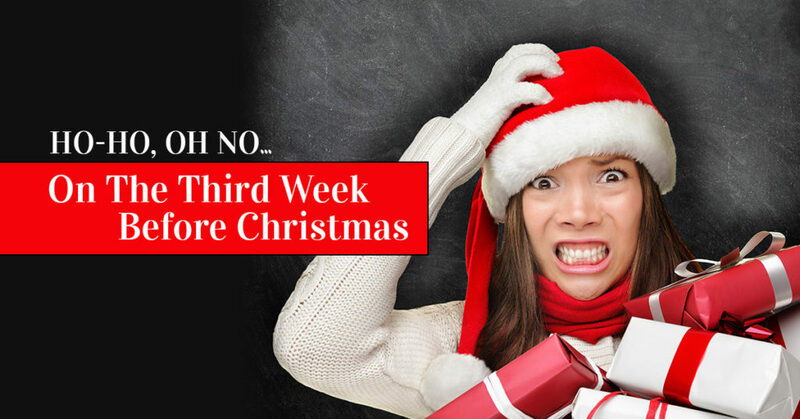 From there, he creates a uniquely tailored plan to get you back to Christmas joy. So make an appointment today.